Curiosity, dedication and discipline. Those three words describe Tech students in general, and no doubt equally depict Tech’s Equestrian Club. Tech’s Equestrian Club is by far one of the best kept secrets on campus. It has been a small group for the past few years, but has grown steadily since president and junior Morgan Quinones took the reins three years ago. Quinones and vice president Laura McCray dedicated themselves to fostering expansion despite being faced with significant adversity: the organization was left with only two members after two previous riders graduated. The club had to expand, or hopes of representing Tech at Nationals would be lost. Thanks to talent and persistence, those dreams are not nearly as far from fruition as they were when Quinones and McCray took the helm. Slowly, but surely, the Equestrian Club has grown. 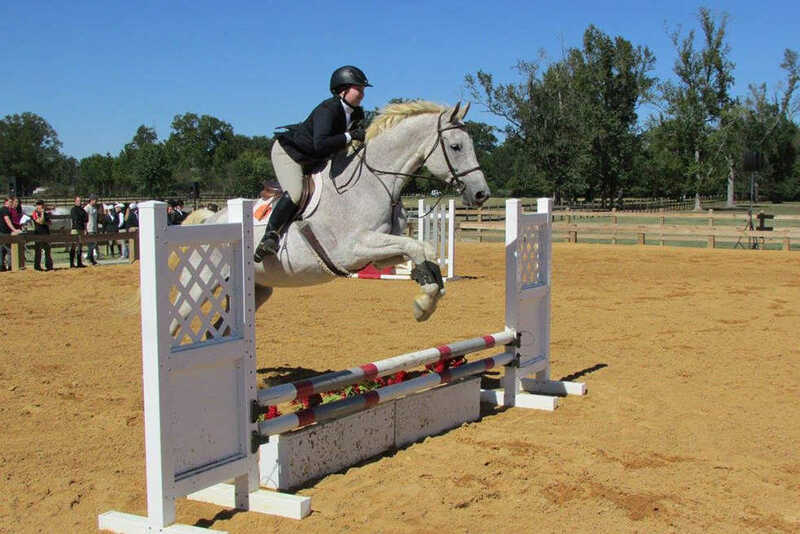 Though still without enough riders to compete at Intercollegiate Horse Show Association (IHSA) Nationals, the rebuilding effort has begun in earnest. Quinones and McCray intend to transform Tech into a formidable power within Region Two, Zone Five — the Jackets’ home territory. That goal is one that is more easily articulated than executed, particularly with the rather large matter of displacing the current leaders. With work, though, competitors like powerhouse Berry College, ranked first in the zone in both hunter seat and western riding, may soon find it dangerous to overlook Tech. As the Equestrian Club grows in numbers, so does the distinct possibility of earning a highly coveted spot in the IHSA National Competition in a few months. This year, Nationals will take place at The Kentucky Horse Park in Lexington, Ky. The cream of the national crop will gather for three days of competition. As would be expected at such a high level of competition, even reaching the final stage of intercollegiate equestrian events is no small feat. Riders from each team can compete in two events: hunter seat and western. Hunter seat, the more well-known of the two competitions, found its origin in fox hunting. The rider sits forward in the saddle and is judged on course execution and style. Western riding is well known for having a larger saddle with a horn. The horn prevents the rider from sitting forward like a rider would in a hunt seat competition. The western course combines the elements of both reining and trailing. Riding in either event is no easy task. Success is predicated on work ethic and natural talent, but equally important in the grand scheme is the rapport that each rider builds with their horse, the sorts of connections that transcend athletic competition. Naturally, these relationships are not built overnight. Training horses are provided for the Jackets, and the relationships come with time. Despite the closeness of these bonds, they do not necessarily give competitors an advantage in competition. Each competition begins with a draw in which each rider randomly draws their competition horse for that show. This randomization ensures that the judges are able to judge riders based off their skills commanding the horse. It also adds a level of unpredictability and difficulty to equestrian sports that are virtually unprecedented in the vast majority of collegiate athletics. If riding an entirely unfamiliar horse for the first time ever into the arena for show competition is not already difficult enough, the prerequisites to participate in the national competition only complicate things further. Most often, an equestrian team needs to be number one in their region to have the opportunity to complete at Zones. Then, the team must win its zone and place in the top three in Semi-Nationals to be eligible for the national competition. With a small team, Tech has not ranked high enough in the region to hope for a chance at national competition in 2016; that does not, however, preclude it from reaching that level in the years to come. Tech’s equestrian team has seen a strong rate of growth over the past few years — one that may have been unthinkable given the shaky ground it stood upon when its current leadership assumed their roles. There is no doubt that it will finally become possible for an up-and-coming Jackets team to become a serious regional, even national, competitor. Club president Morgan Quinones, an applied mathematics major, explained that recruiting strategies such as tabling at FASET have allowed the Tech equestrian to replenish a decimated squad while simultaneously building awareness. The Jackets welcomed six new freshman, two sophomores and a junior. With an influx of promising new talent, the equestrians look to transform their image from that of a team looking to survive to one with its sights set on national relevance. That sort of change rarely occurs in a year, particularly in a region as competitive as Tech’s, but there is little doubt that Quinones, McCray and a rebuilt team are on the right path. If the Jackets continue to hone their skills, there is no reason to think they will fall short. Time will tell that the adversity they have faced has served them well.